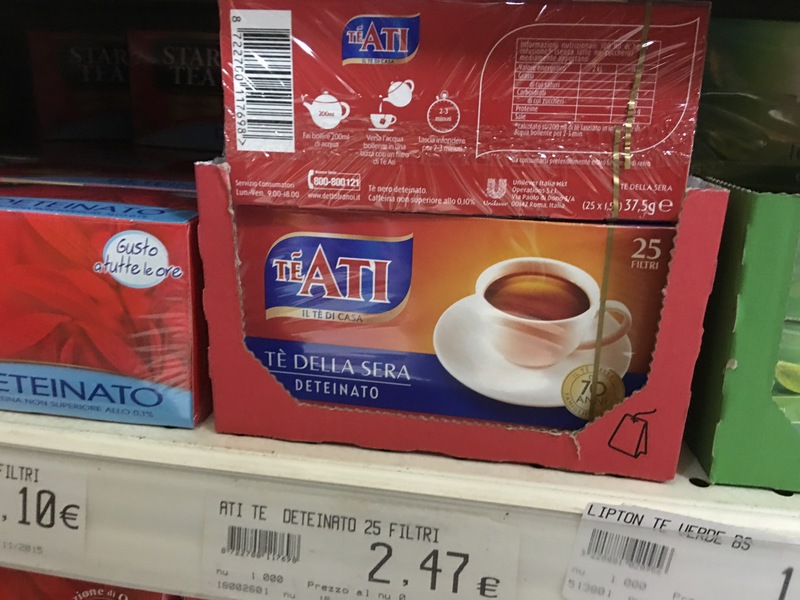 Of course, in Italian the words caffeine and coffee are more similar than in English, but I never would have thought they would invent what seems like a nonsense word — deteinato — as an adjective for decaffeinated tea. A bit like the way broadcasting on television became, in English, telecast. Something about avoiding the DTs.